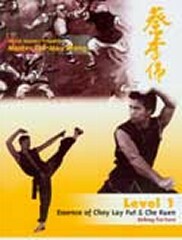 Fundamentals: By learning the correct positions and applications of the stances, footwork, and fundamental animal techniques of blocking and striking, students can embark on the intriguing journey of learning Choy Lay Fut Kung Fu and establishing a firm foundation in its defensive tactics. 'Che Kuen' - Learning this form will reinforce your fundamentals and help you build an understanding of how varying stances with a multitude of techniques work together to create an efficient exercise routine and a solid foundation to build upon. 'Siu Mui Fa' (Little Plum Blossom) form, in all its beauty and flow, combines some of the most fierce, powerful, and effective fighting techniques creating one of Choy Lay Fut's most popular forms. Learn the fascinating applications and defensive maneuvers within and learn the correct way to perform this unique and impressive form. 'Chin-Na' - means seizing and control, catching and holding. Learning these great grabbing and grappling techniques of Kung Fu can fortify your self-defense skills. 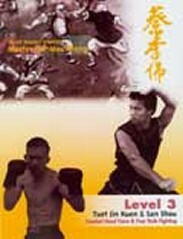 'Tuet Jin Kuen' - Establish a new level of skill with the complexity of the form 'Tuet Jin Kuen'. Learn how to have champion technique and form for competition, performing and teaching. Learn the intricacies of 'Tuet Jin Kuen', and find out why it's one of Choy Lay Fut's treasured forms. 'San Shou' - Learn China's dynamic art of Full-Contact fighting and become a well rounded Martial Artist by knowing knock-out techniques and takedowns. 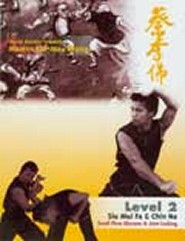 'Ng Ying Kuen' (Five Animal) Form stems from the Shaolin Animals; illustrating the fighting techniques derived from the most important animals of Kung Fu: Dragon, Snake, Tiger, Panther, Crane. 'Mui Fa Gum' (Staff ) Form stems from the rowdiness of the ancient market place. Since the unruly were known to cause trouble stealing and fighting in the open and crowded markets, a staff was a merchant's defense weapon of choice. When a fight broke out, those involved would grab the most practical thing close to them, the staffs holding up their tents. Training in weaponry does far more than teach students how to use the actual weapons. Strengthen your upper body, your hands, arms and wrists, develop your coordination, and quicken your reflexes by learning the Single Broad Sword. 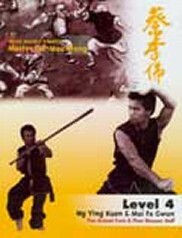 Choy Lay Fut provides a full-body work out by using all muscles; the sword form challenges new coordination of muscles and mind and provides a unique work out. 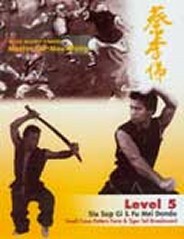 'Fu Mei Dondo' - Tiger Tail/BroadSword II show essential broadsword skills and the details of this award-winning form. 'Siu Sup Gi' Form - This vigorous and advanced form, containing all the major techniques of the Choy Lay Fut system, will polish your skills and prepare you for the rank of Black Belt.